The second in a series of T-Shirts based on classic literature. 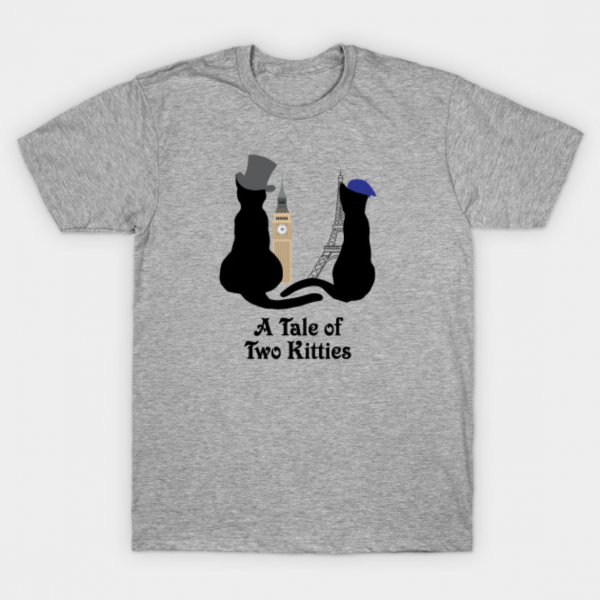 This one is based on Charles Dickens’ A Tale of Two Cities. This is a variant on that, because — cats. Only lighter colored shirts are available due to the colors of print. If you have other ideas for prints based on classic literature, let me know in the comments.